Nippon Atomized Metal Powders Corporation｜Meatal powder manufactured by water atomization. We manufacture metal powders by water atomization method. This method is that molten metal is quenched and solidified by high pressure water. We can control chemical composition, particle shape, density, particle diameter etc. We make the best use of our atomization control technologies and realize customers' requirement. 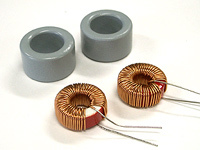 ・ We can manufacture mesh size and micron powders. ・ We can manufacture irregular and spherical powder. ・ We can manufacture alloy powder that can not manufactured by chemical method. ・ We can manufacture powders with recycle material. ・ We can manufacture powders at lower cost. 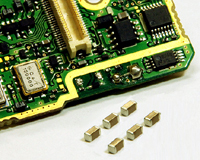 Copper and Silver and Precious metal powders are used for conductive paste for electronic device (MLCC, Inductor , LTCC etc.). 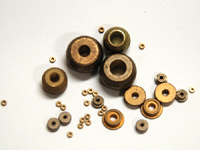 Bronze and brass powders are used for bearing of motor and car parts. © 2007 NIPPON ATOMIZED METAL POWDERS, inc.